Raleigh’s cyclocross bike range comprises three carbon and five aluminium framed models, including three women’s-specific bikes. The RX Team is the top of the range. It’s a unisex bike, although the next-down all-carbon RX Race comes in a disc-equipped men’s version at £2200 and a canti-braked women’s version at £1850. The entry-level RX Elite priced at £800 and the £1500 RX Pro also come in men’s and women’s versions. 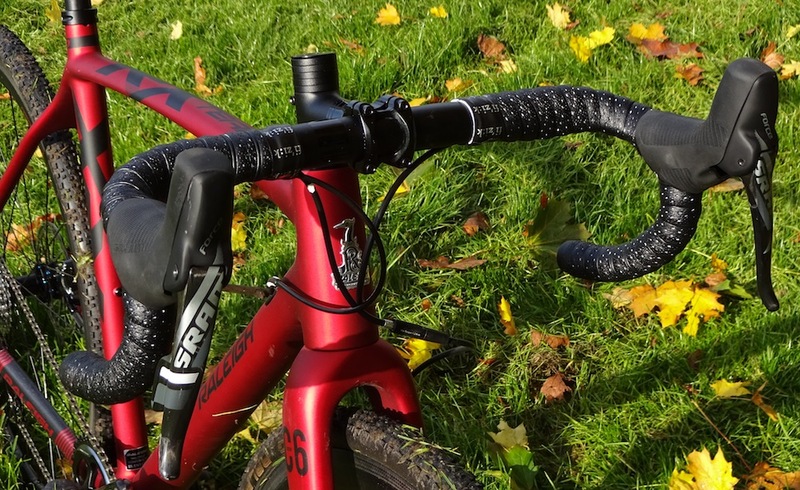 At £3500 the RX Team is a pricy item aimed at the dedicated cyclocross racer. This is shown in its spec too: it comes with cyclocross-specific tubular wheels and SRAM’s Force 1 single ring groupset. At 8kg on the button, it’s light for a disc equipped cyclocross bike too. The frame is made from what Raleigh dubs its speed blend direct connect carbon fibre. It comes with a tapered head tube and BB30 bottom bracket shell. The cyclocross-specific fork is all-carbon too and there are disc brake mounts front and rear. RX Team comes with a SRAM Force 1x groupset. Cables are routed internally. The cables to the rear brake and derailleur are internally routed, while the front brake cable is zip-tied to the fork. 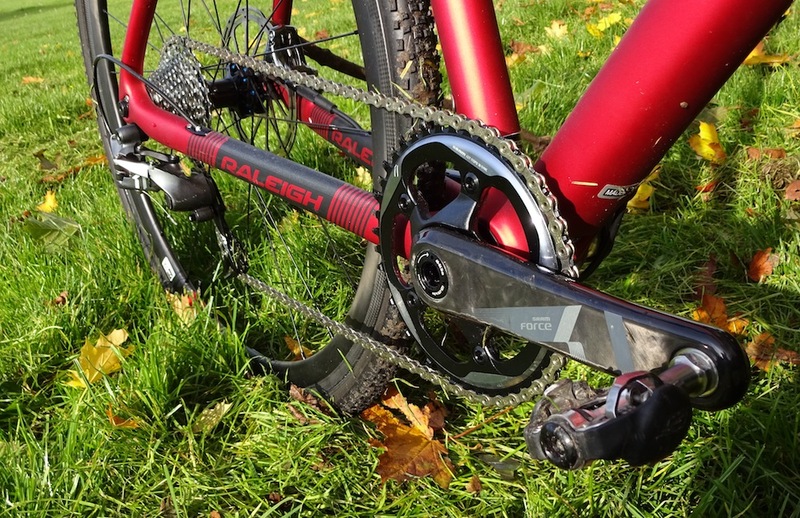 Raleigh has started to incorporate thru axles on its disc braked bikes this year and the RX Team has a 15mm thru axle at the front and 142mm by 12mm diameter thru axle at the rear. The RX Team comes fitted with a SRAM Force 1x groupset, which is SRAM’s top-of-the-tree single chainring set-up. 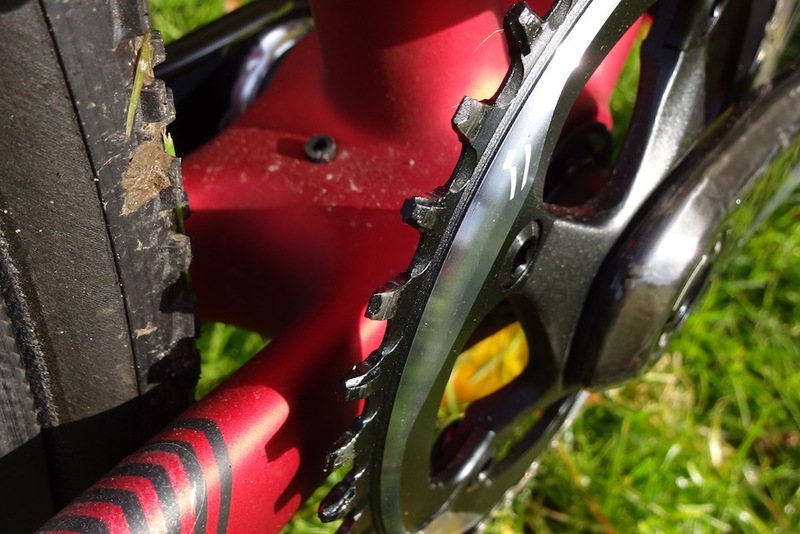 The chainring has 42 teeth and there’s an 11-28 tooth cassette. In practice, I found this quite a narrow range for more mixed terrain, although a fitter racer would probably be happy with this on a flattish course. Anyone looking at a bike at this price is unlikely to baulk at changing the cassette and chainring to match conditions. 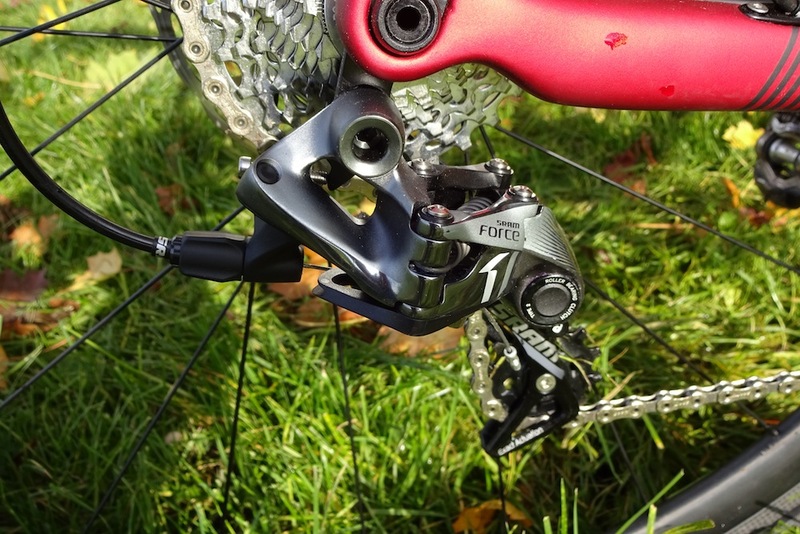 But since the RX Team comes with a medium cage version of the SRAM Force derailleur, the monster 42 tooth version of SRAM’s cassettes is out of bounds – and unlikely to be needed. 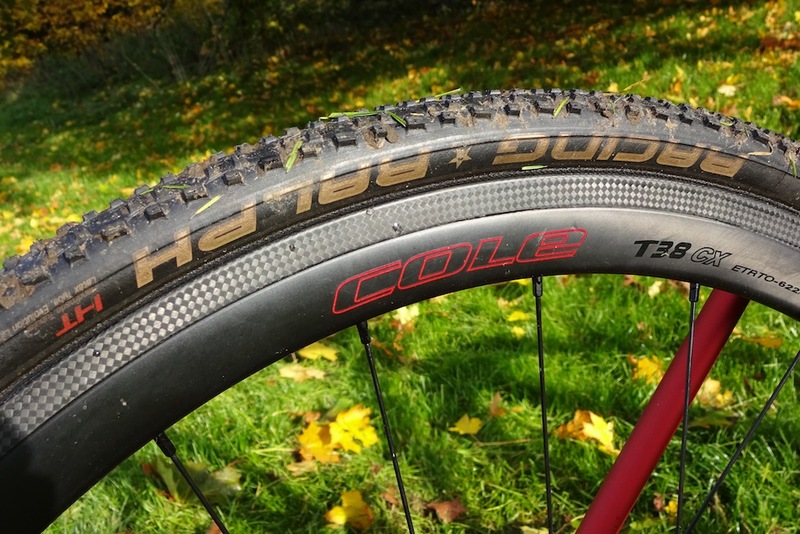 Wheels are Cole’s T38 cyclocross-specific tubulars and have ceramic bearings. With a claimed weight of 1490 grams, they come with carbon rims (which have braking surfaces despite their disc-specific hubs) with a 35mm depth and a 24.5mm width to support wider cyclocross tyres. 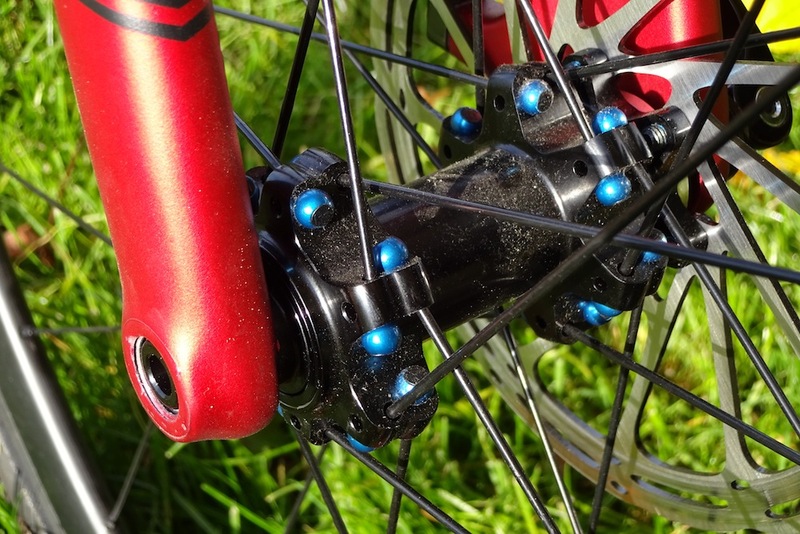 They’ve got an interesting spoke design, with a large ball at the hub end which can rotate in the hub flange, designed to allow increased spoke tension and help distribute forces more evenly. The wheels carry Schwalbe’s Racing Ralph Evo 33mm tubs – a high performance design with quite low profile central lugs but larger ones on the sides, which should roll well in less muddy conditions and corner well too. >>> Will thru-axles supplant the quick release? The RX Team is a thoroughbred cyclocross race bike. Its light weight and nimble handling mean that you can negotiate obstacles with confidence. 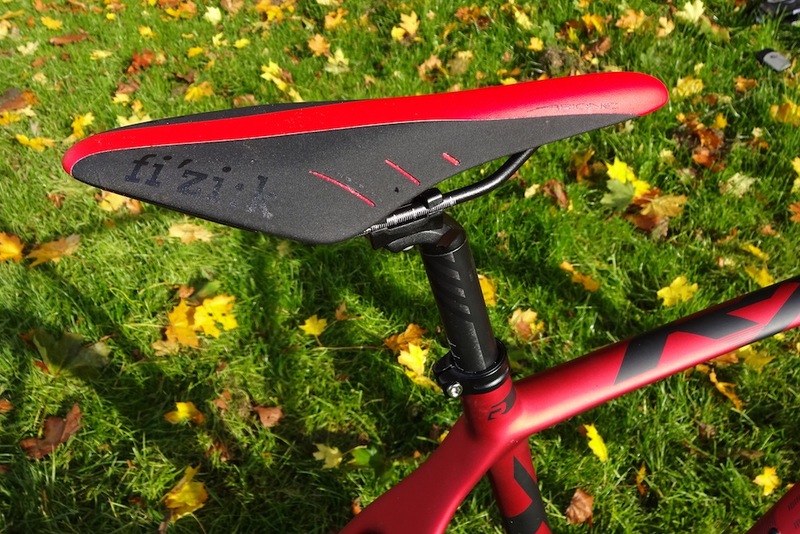 It’s easy to shoulder too: the top tube is wide and ovalised for comfort but also shallow, meaning that the overall circumference is quite small and it’s easy to get a good grip when manhandling. Overall the bike feels quite firm if you ride it on tarmac with higher tyre pressures, so there’s good transfer of power in racing conditions. The tyres are compliant and happy to be run at lower pressures, although I found the tread pattern a bit lacking in grip in muddy conditions: I could induce some wheel slip when trying to accelerate through mud. They’re really better suited to drier courses. The wheels are light enough to be reactive, without flex and support the tyres well. There was some bottoming out on the rims running at 35psi, but nothing alarming. The gearing is a bit high for mixed conditions though. Brakes are very effective and operate with a light touch, although I did end up with contamination and rubbing on the discs after a bit too much ploughing through the mud. Raleigh may not be a brand which you immediately associate with cyclocross racing, but it’s putting resource into developing the sport at the grassroots, supporting a number of junior riders. Its RX Team deserves consideration if you’re looking to race and value the advantages that disc braking and SRAM’s 1 shifting provide, namely assured stopping regardless of conditions, minimal chain slap and little chance of losing a chain in a race. SRAM’s double tap shifting may be an acquired case, but there’s no doubt that its single ring set-up provides benefits in the rough stuff. The removal of the second chainring and front shifter also saves quite a bit of weight and at 8kg, the RX Team is competitive and easy to accelerate and carry. It’s got nice handling on uneven ground too: it’s only the absence of a more aggressive tread that slightly lets the bike down in damp conditions.